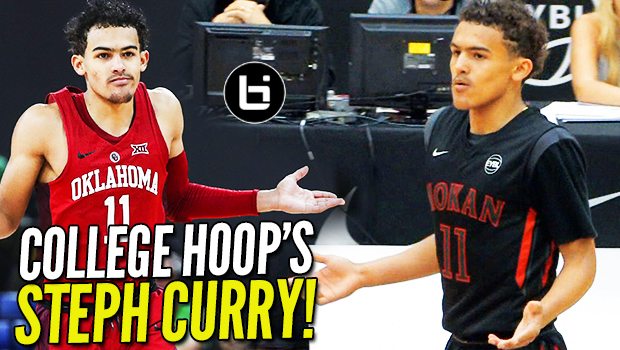 College Hoops’ “STEPH CURRY”: Trae Young THROWBACK Footage! Nation’s LEADER in PPG & APG! Check out throwback footage from college hoop’s leader in PPG and APG; Trae Young! Young is a 6’2″ point guard who’s drawn numerous comparisons to 2X NBA MVP Steph Curry! He’s got flashy handles, amazing court vision, and range from the volleyball line! He finished the regular season as the BIG12 Freshman of the Year with 27.4 PPG and 8.8 APG. Check out his Sooners at noon today as they take on Rhode Island in the 1st round of the 2018 NCAA Tournament!